If there’s one platform we’ve all heard of it’s WordPress, a name that is synonymous with well crafted templates and the home of bloggers across the world. But what we also know about WordPress is that it carries a nagging reputation that’s it not for the serious professional, more a tool for amateur blogging enthusiasts only. We take a look at the realities behind this and try and debunk a few WordPress myths. While certainly easy to install, use and set up we would suggest that WordPress is suitable for beginners, not necessarily amateurs. As a platform it has a myriad of features that your amateur blogger simply wouldn’t need. This is further compounded when you consider that the site also has a paid for option that is entirely geared towards business-savvy professionals looking to create a substantial site for their online businesses. This claim can also be refuted when you take a look at the number of plugins, such as Yoast, available exclusively for WordPress that give it an unmistakable status among the platforms. Another myth that we often hear is that the platform is not secure and who wants to create content that’s in danger from outside forces? The answer to this is that the site grows its security organically with every update and with every new version. In truth security can often boil down to the user and how secure their own networks and systems are. No platform is 100% safe but it’s certainly no less secure than any other site. This is fairly easy to debunk when you consider that globally WordPress is one of the most popular sites in the world. From the word go you have access to a super-fast, SEO supported site that is quite capable of dealing with a high volume of traffic. On occasion the site does run slow, it’s more often than not down to a poor-quality plug- in slowing your site down. In terms of growing with your success, its flexible support options mean you can help your site grow and develop with you. The huge community of WordPress support groups online mean you have answers at your fingertips 24-hours a day for any problems that you might encounter. You might be under the impression that you can spot a WordPress template a mile away but the truth is these beautifully crafted templates adapt so well to individual styles and sites that there’s always a slightly different take on every template used, depending on who’s designing it. If you get a decent WordPress Web Design Agency in, you’ll quickly see how even the more basic designs can be adapted to look nothing but professional. The other benefit is that with high grade plug-ins you’ll also be able to import your own templates merging them on to the site and setting off your unique style. 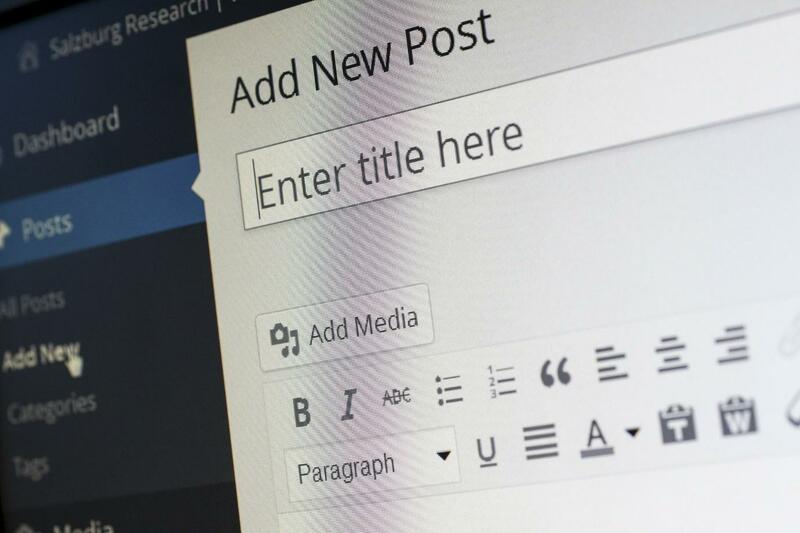 WordPress is one of those sites that seems surrounded by mythology but is well worth spending some time exploring whether as an amateur blogger or CEO, there’s a lot to see.